Why not complete the international resources Girlguiding offer for all sections or the Commonwealth award? Or take part in an international challenge badge to support group fundraising, and maybe one of the trip participants will come and run it for you! Could you invite someone in to your unit who has been on an international adventure or someone who has experience of a different culture that they are happy to share with you? 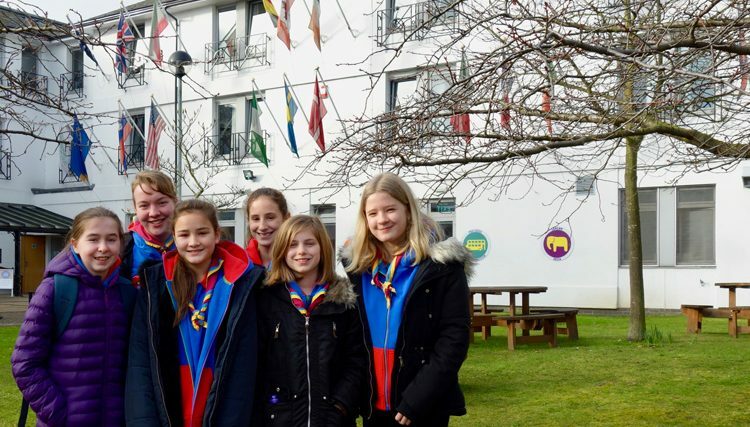 Visit an international camp in the UK. There are plenty to choose from including: Essex International Jamboree, NorJam, CamJam, Charnwood, Poacher, Wings, and in 2022 our very own County Camp. (A quick google search will help you find out when and where these events are happening).